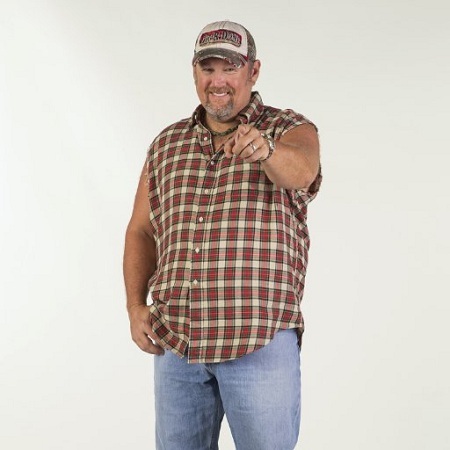 If there's one guy who's managed to successfully merchandise his blue-collar-based humor and transform himself as one of the top-notch comedians in the industry, it's Larry the Cable Guy! The name sure ring bells for all of us! The father of two, Larry whose real name is Daniel Whitney married his longtime love Cara Whitney in 2005 in Nebraska and the pair is living a blissful life now though they had some issues in past. Let's dig into further details about him right here on MarriedWiki. 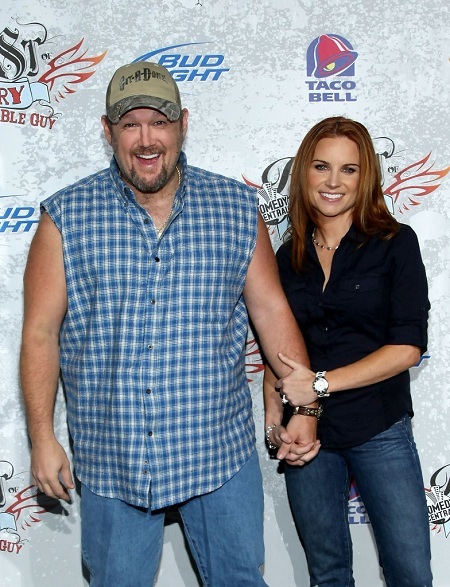 Dan Whitney aka Larry the Cable Guy, 54, met his wife Cara in Los Angeles back in 2004. Larry was still struggling to make a name in the industry. The pair was head over heels after their first encounter and soon started dating. The two married in a private ceremony on 3 July 2005 in Nebraska field. Larry and his wife Cara Whitney together an event. "Our whole wedding cost 180 bucks. Afterward, we re-heated lasagna for everyone and set off fireworks. [Cara]’s a bonafide, grade-A cowgirl. And she’s funnier than I am!" They have two kids, Regan Whitney, and Waytt Whitney. Wyatt, who was born in August 2006 was diagnosed with hip dysplasia when he was just a few days old. Click to know more; Comedian Billy Gardell married wife Patty Gardell in 2001. See their family relationship. "When I’d go to ask questions, the doctor just didn’t have the answers, I was like, ‘This is crazy. For something that’s so common, how come nobody has any answers for it?’"
They finally came to know that it was the most common abnormality in newborns affecting one out of 20 infants. They consulted Dr. Chad Price, a pediatric orthopedist an international authority on hip dysplasia at Orlando's Arnold Palmer Medical Center suggested fitting the harness and it actually worked. Wyatt has to visit the specialist for yearly X-rays until he's a teenager. Though they faced several issues, the family of four is inseparable and we hope to see them like this in further days to come. The family is strong together as a rock and are having a fun ride living together. Though Daniel started his career in radio as a local host, he gained wide recognition being a stand-up comedian. The journey of his transformation, however, isn't as easy as we think. At first, he performed stand-up under his real name but he couldn't draw the attention of the audiences. After a long struggle and portraying the character of the Cable Guy character, he made a big impact on his fans and media. His first two comedy albums, Lord, I Apologize (2001) and The Right to Bear Arms (2005) was certified with gold by the RIAA. Later, he released his third album, Morning Constitutions in 2007. 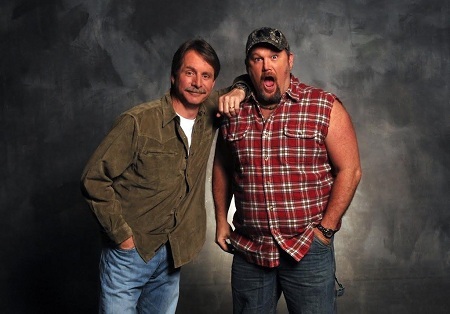 The star came up with a new series premiered on 8 February 2011 Only in America with Larry the Cable Guy on the History Channel. Jeff Foxworthy and Larry recently worked together with their latest collaborative album 'We've Been Thinking' which is now available on Amazon. "I’ve been doing this for 30 years. It’s been an awesome career and I’ve got a great fan base. My main focus was always my act, but my main focus now is my family and being a good dad, trying to raise some good kids. Every now and then I get to go out, but I get to come home." "We just finished We’ve Been Thinking, and now that I’m done with the tour I’m going to kick back a little bit. I’ll start writing a new act here in the next few weeks and start going up onstage and trying five minutes, ten minutes, fifteen minutes. But my priorities are a lot different than people who are just starting their career or people who are in the middle of their career. I’m at the tail end of mine." Though the star signal that he would be out of the market, wish to see him in more projects in the following days. On September 2010 he donated $5 million to the Arnold Palmer Hospital for Children situated in Orlando, Florida. Born Daniel Lawrence Whitney on 17 February 1963 in Pawnee City, Nebraska. Studied at The King's Academy in West Palm Beach. He completed his graduation from Berean Christian School in West Palm Beach in 1982. Also attended the Baptist University of America and the University of Nebraska. Started his career working in radio in the early 1990s. Appeared on a radio show called The Ron and Ron Show. Has an estimated net worth of about $50 million as per the Richest and $80 million as per Celebrity Networth. Stands at a height of 5.83 feet (1.78m).